В» Capture - if you can see it, you can snag it! В» Don't waste time cropping your captures. Snag exactly what you need, with just a click. В» Profiles make it easy. SnagIt comes with eleven preset buttons that make screen capture a cinch! Capture a region of your screen, text from a window, the contents of a tall page that scrolls, all the images on a Web page, you get the idea. В» Custom suits you. Don't feel limited by the eleven profiles-create your own combinations for nearly unlimited capture possibilites. What's that? You want to set up a keystroke that captures a menu along with the mouse pointer...adds a drop shadow...and sends the image directly to your ***** dot com blog? Sure, no problem! В» You don't need a million confusing options, you need the right tools at the right time. Unlike expensive, complex image editing suites,SnagIt makes everyday screen capture tasks one-click easy. В» Say more with pictures+words. Use an arrow to direct attention. Add a text callout to explain clearly. Apply ready-made objects from the menus...and your picture is worth 1,000 more words! В» Look like a pro. Make your screenshot pop with a drop shadow. Give it perspective, spotlight an area, or add other nifty effects. В» Convey complex ideas simply. Combine multiple images, callouts, shapes, and clip art stamps into a rich and detailed information graphic. В» Have fun! Add a speech balloon to that photo of your cat. В» Yes, you can save your captures in all the common-and a few uncommon-image formats. But with SnagIt's free output accessories you can do so much more! В» Collaborate in a flash. Click a button to send a screen capture by email, AIM, or Skype. В» Be social. Share on Flickr. Post images directly to your blog. Publish to your Web site via FTP. No technical degree required! В» Get projects done quicker. Embed images directly into your Microsoft Office projects, MindManager map, or OneNote page. В» Save nothing...save everything. 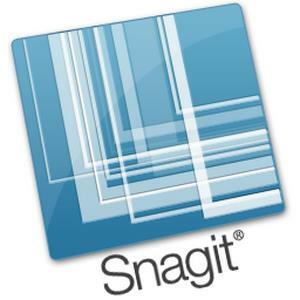 SnagIt stores every capture automatically and keeps the most recent visible. A huge timesaver! В» Find your stuff. Whether or not you saved it, find that capture later with the new visual search pane. Remember just one detail-like the approximate date or the Web site you captured-and find your capture instantly. В» Get organized (if you want to). As you capture images for next month's big project, tag them with "big project" or set the "Important" flag. No need to save anything in folders...just come back next month and view all your big project files with a click!